Last Sunday afternoon, I hung out with my two youngest nieces, ages 7 and 9. They wanted to bake. 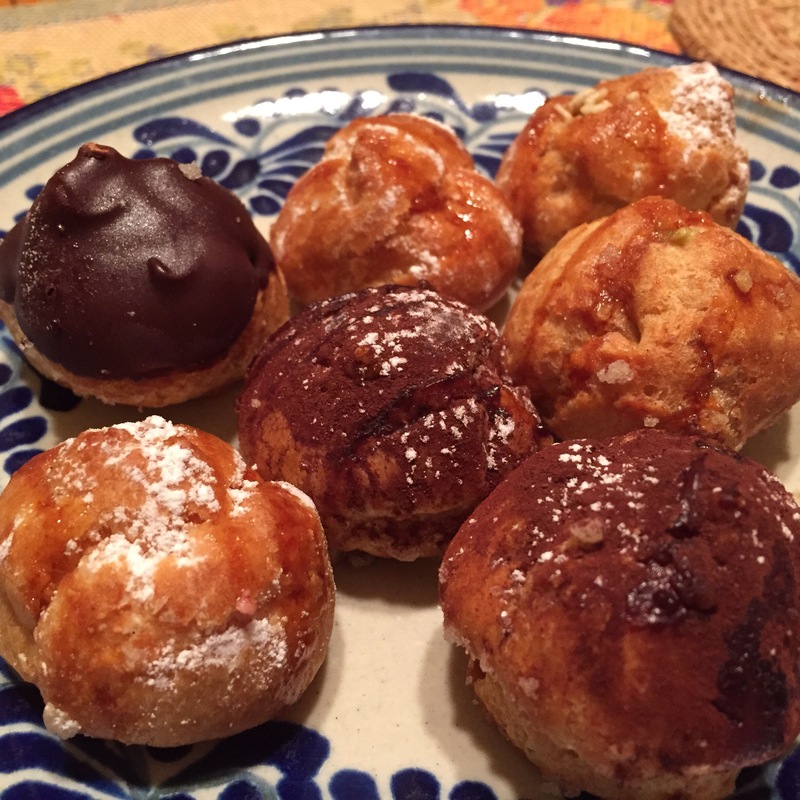 I was inspired to make cream puffs having recently eaten the Italian version, bigne alla crema from Ca’ momi in Napa. If you are in the area, you must visit Oxbow Market and pick up some of these delicious pastries. 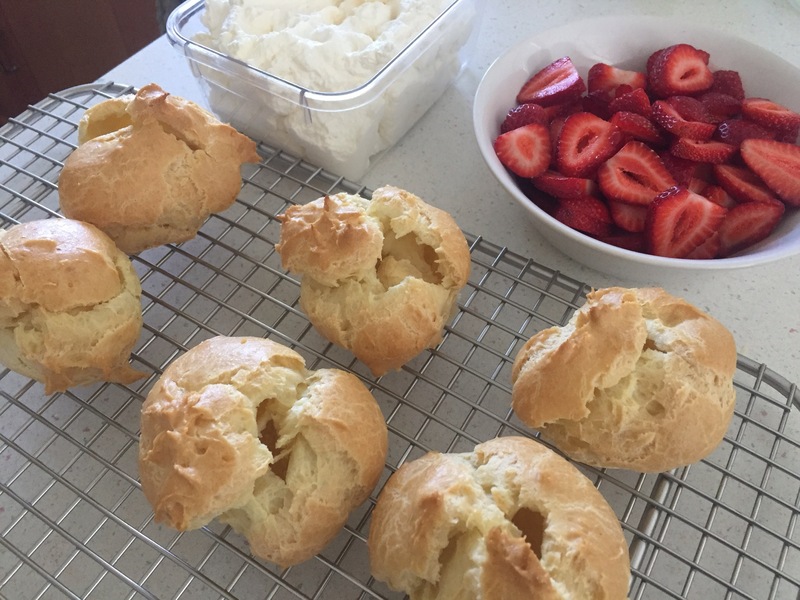 Never having made cream puffs before, I searched for a simple recipe. 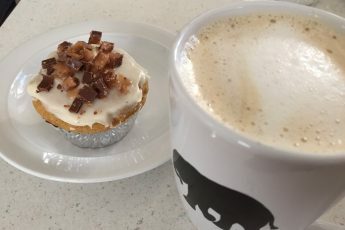 I found a recipe online from King Arthur Flour. I use King Arthur flour and have been successful in the past using their recipes. I already had most of the ingredients. Fresh whipped cream would fill these pastry shells. I picked up some of the sweetest organic strawberries from the farmer’s market earlier in the morning so I would add that to the recipe. 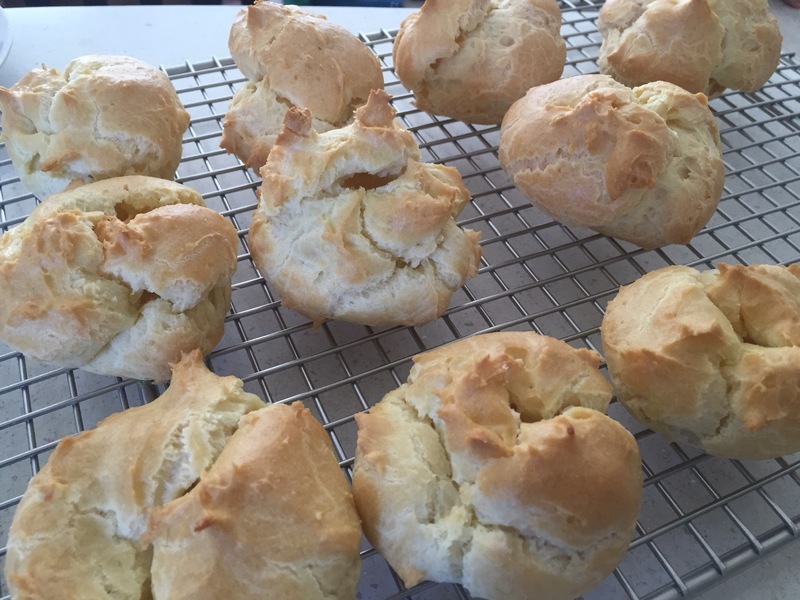 This recipe makes a dozen cream puffs. Preheat oven to 425°F. 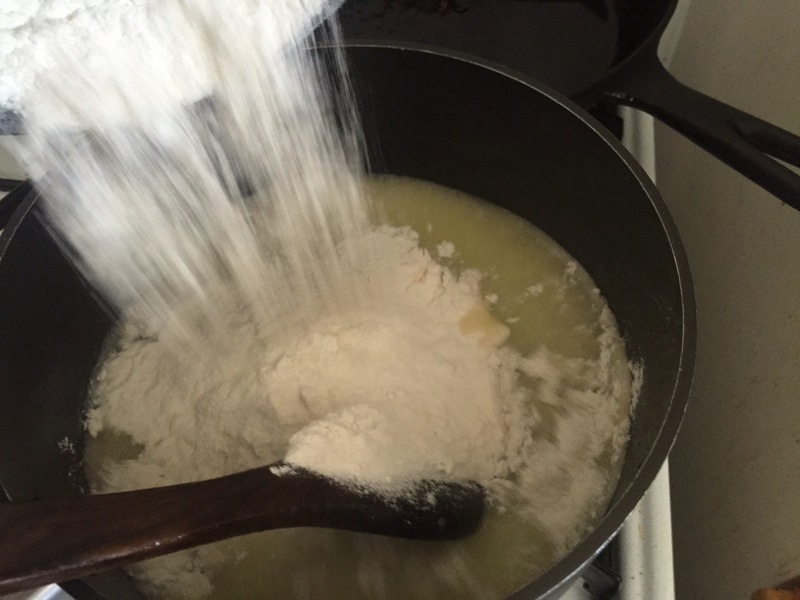 Place water, butter, and salt in a medium-sized saucepan over medium high heat. Let the butter melt. When the butter reaches boiling point, remove the pan from heat. Quickly add the flour and stir vigorously. 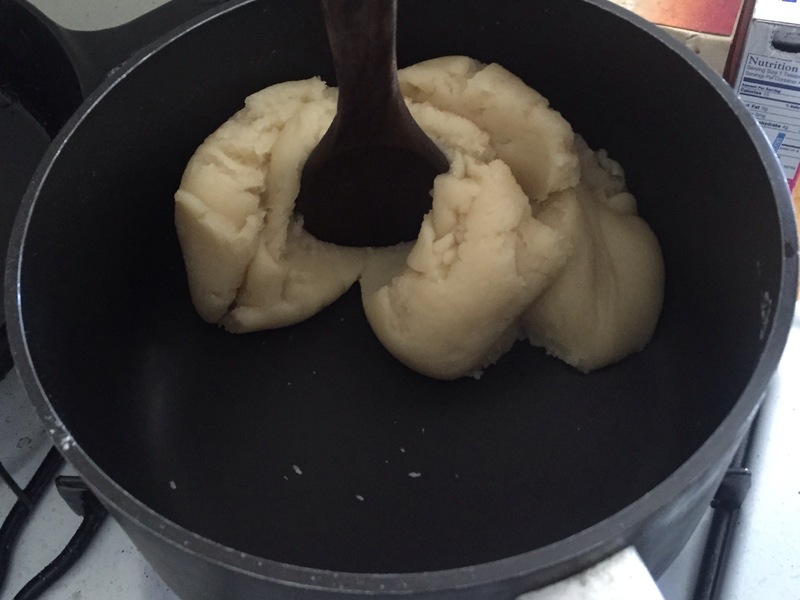 Remove the pan from the heat, and transfer dough to a mixing bowl and let the cool for 10 minutes. Beat eggs one at a time. Once last egg is in, beat for an additional 2 minutes. Measure out the dough into 3-4 tablespoons rounds and place them on a parchment paper lined baking sheet about 3 inches apart. Bake the pastries for 15 minutes, then reduce the oven temperature to 350°F and bake for another 20 minutes. The pastries should be a medium golden brown. Do not open the oven door while the pastries are baking. Remove the pastries from the oven. Make a small slit in the top of each, and return them to the oven for 5 minutes, to allow the steam to escape. Place them on a rack to cool. 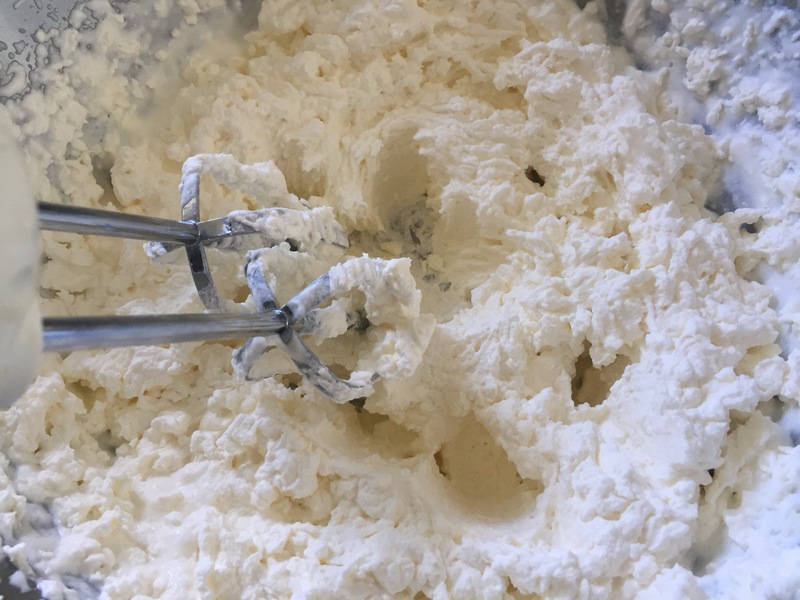 To make the whipped cream, pour the heavy whipping cream into a mixing bowl, and begin to whip on high speed. 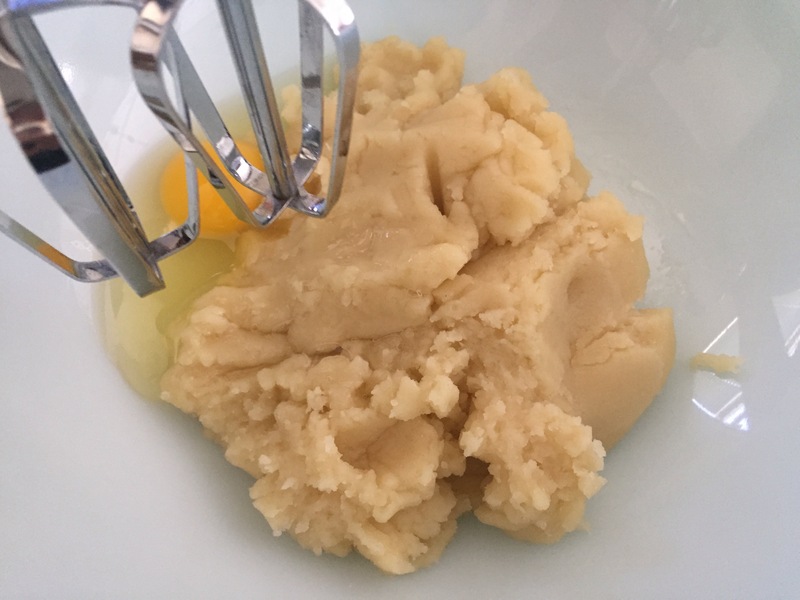 Add sugar gradually as you whip. Continue to whip until stiff and smooth. 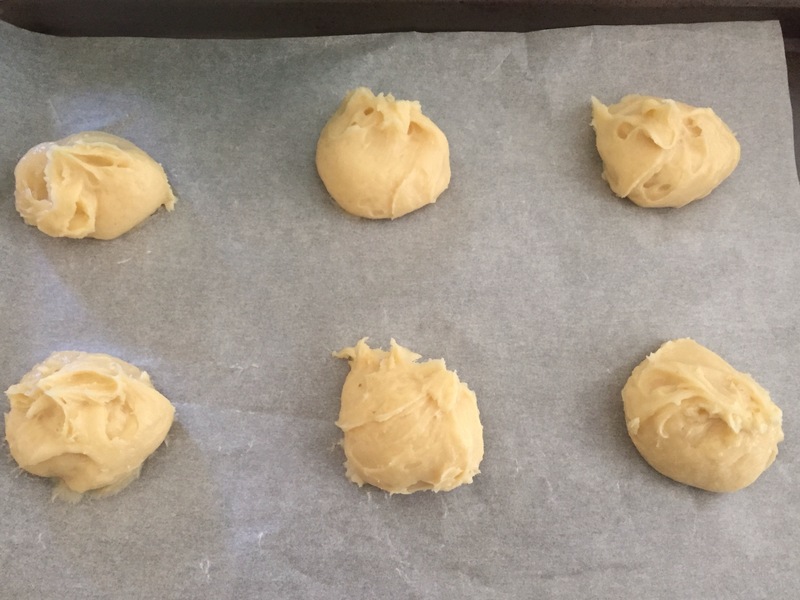 The cream puffs are now ready for assembling. 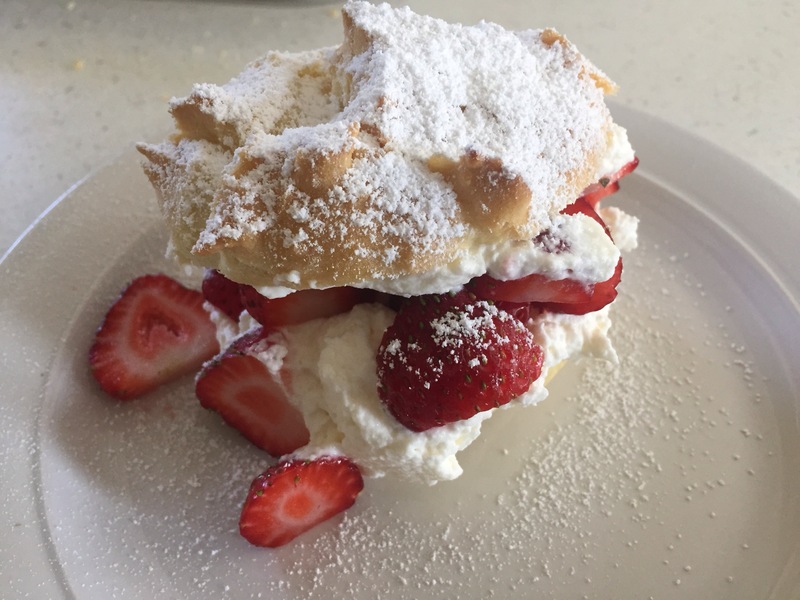 Slice the cream puffs in half and fill the bottom halves of the puffs with whipped cream, add sliced strawberries, replace their tops, and dust with confectioners’ sugar. 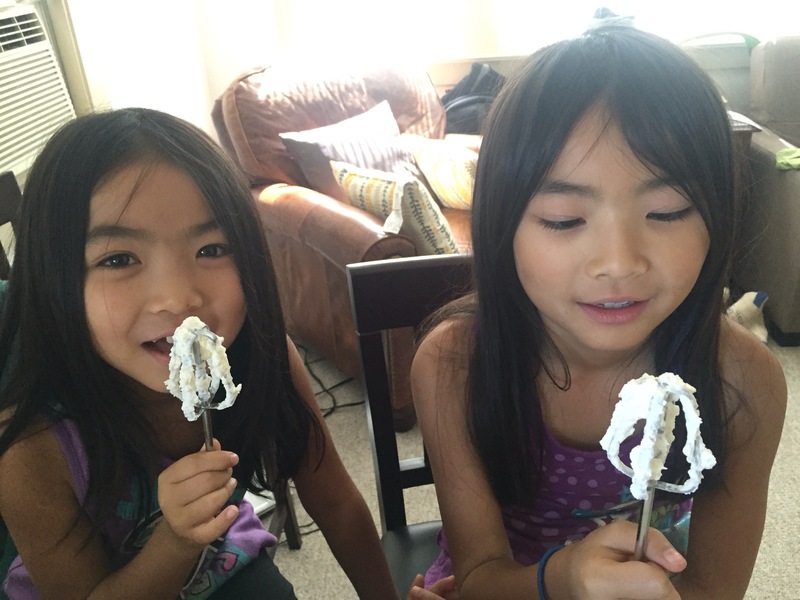 The nieces loved helping to make them and eat them. They especially loved the whipped cream.